An eclectic mix of modern infrastructure alongside rural farmland creates an intriguing contrast in Romania. Horse and karts trundle down streets, being hurriedly overtaken by young kids speeding in brand new Japanese cars. Dilapidated buildings crumble next to shining apartment complexes. This is a country that not that long ago was struggling with poverty and uncertainty, with millions of people unsure where the next meals were coming from. But with a growing economy thanks largely to the country’s membership into the European Union, Romania is prospering. 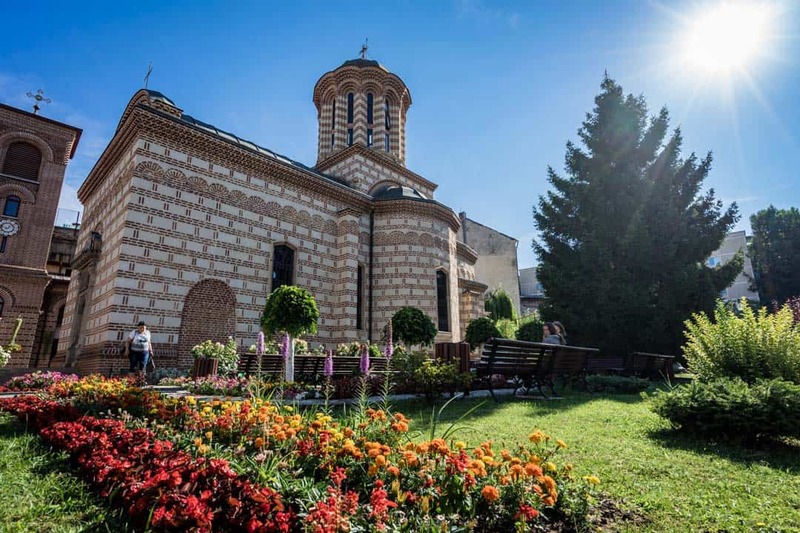 This was to be the last stop of our relatively relaxed trip to Romania before returning to Czech Republic, and we were determined to find the best things to do in Bucharest. The city has a reputation for being interesting, but often fails to “wow” most travellers who are used to the other phenomenal capitals of Europe. Our experience was the opposite. To make the perfect base for our few days in town we checked in to the cranking (and cleverly named) “Book-A-Rest Hostel“. It was a beautiful day and after a quick chat with the affable owner Andrei we hit the town, looking to explore some of the awesome sights. Passing ancient cathedrals and graffitied streets, our first stop was the famous Old Town, grooving with twisting alleys and countless bars and restaurants. While the Bucharest Old Town didn’t quite match the horrendous crowds in places like Prague, the area was still mildly chaotic. After a few photos we moved towards Bucharest’s biggest claim to fame – the Palace of the Parliament. The Palace of the Parliament in Bucharest. This government house is the second largest administrative building in the world after the Pentagon in the United States. 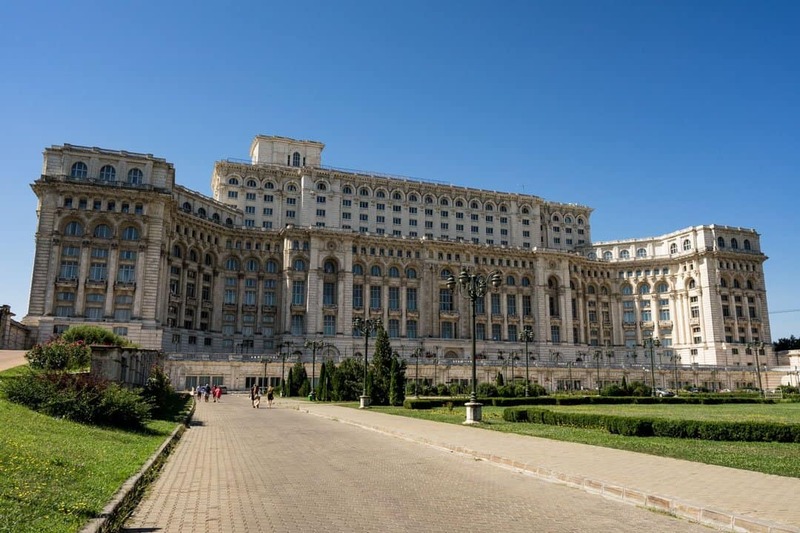 An immense sprawling block, the Palace of the Parliament was completed in 1997 at a startling cost of €3 billion, also making it the most expensive government building on the planet. Spread out over 365,000 m², the grandiose size unfortunately doesn’t equal grandiose architecture. While it is still impressive, and has elements of a somewhat thought-out design, it kind of reminded us of a giant lego structure. Whether you love it or hate it, there’s one thing you can’t deny – it’s definitely big. 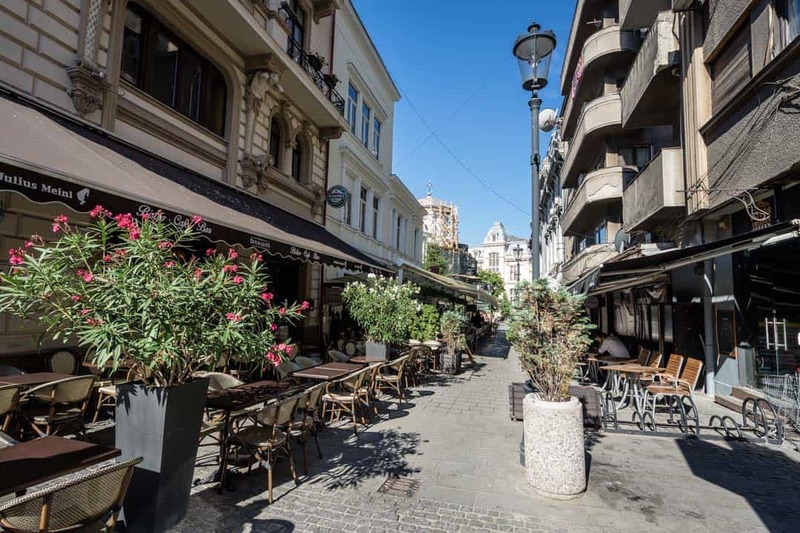 Walking the streets of Bucharest was far more enjoyable than we anticipated, and despite being the largest city in the country it still felt like a mid-size town. 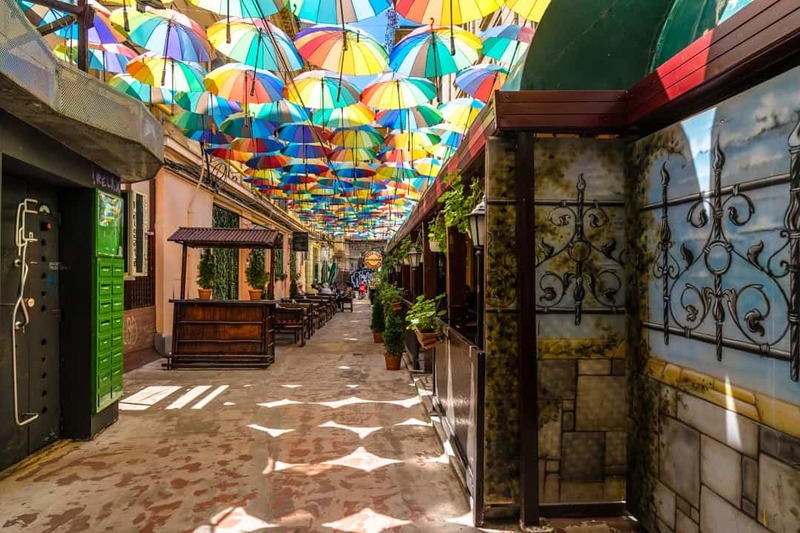 Rainbow umbrellas down a small alley. Our first night was a boozy affair, drinking in the neighbouring bar with Andrei and a collection of guests from the hostel. A lot of fun was had by all, and we back eased into the relaxed Romanian vibe we had encountered in Brasov. 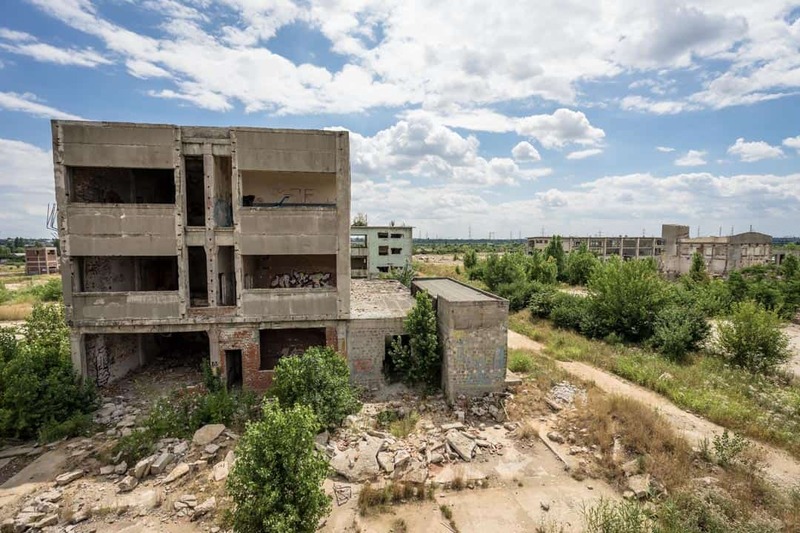 Our second, and last, day was going to involve something we were incredibly excited for – an urban exploration tour of Bucharest’s crumbling buildings. 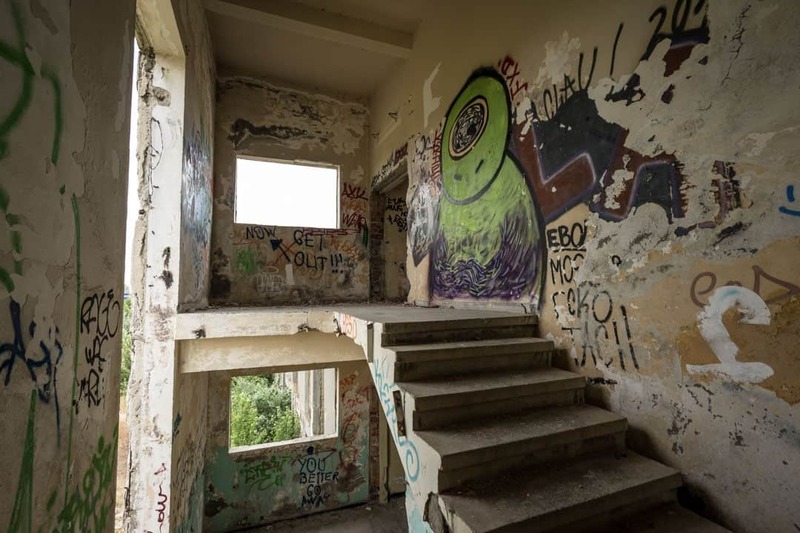 We’ve always had a fascination with urban exploration, trying to visit some curious spots like the Buzludzha monument in Bulgaria and the airplane graveyard in Bangkok. 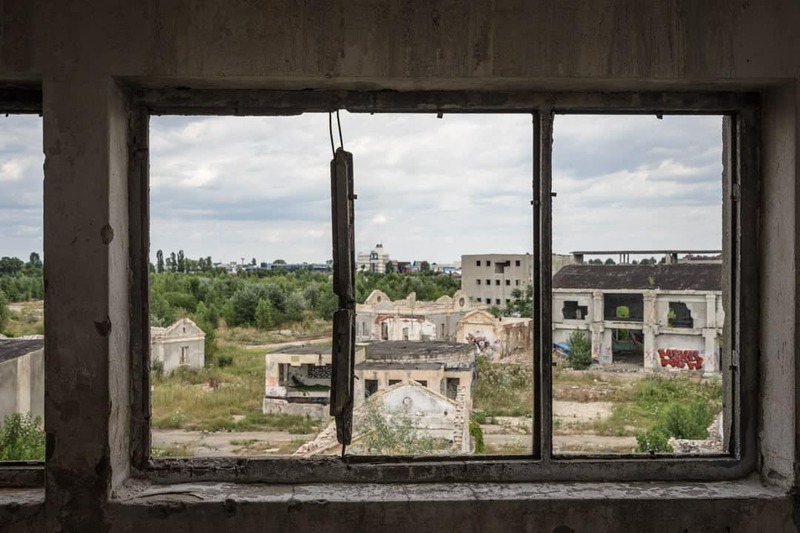 After getting in touch with the Interesting Times Bureau in Bucharest, a company that specialises in unique, off the beaten path experiences, we were amazed to see that not only was there some great opportunities for urban exploring in the city, there was actually a dedicated tour for it! An old staircase in a disused gallery. We had signed up for their Beautiful Decay Tour and met up with our guide Stefan in the morning. A passionate local, Stefan had been working for the ITB for a while, with the Beautiful Decay Tour being his favourite outing. It was just Alesha and I on the tour that day, which meant we could really explore as much as possible. 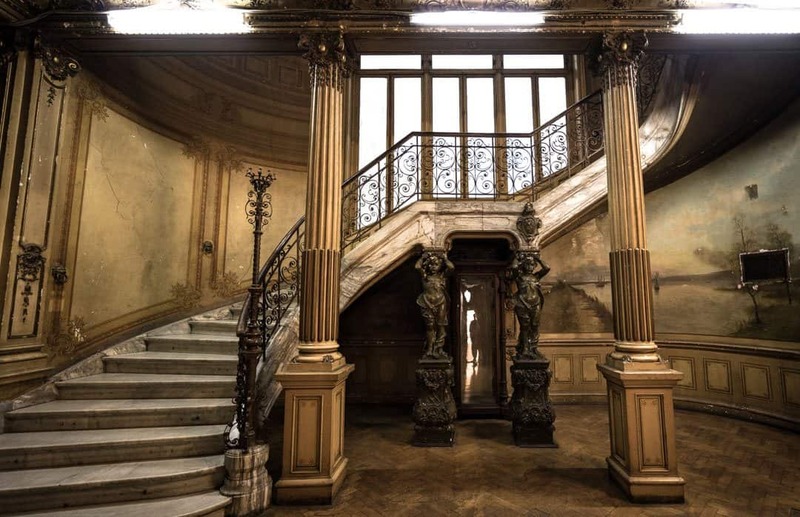 The tour started in downtown Bucharest, with Stefan taking us to a number of privately-owned buildings that had either been decommissioned or were simply closed to public viewings. 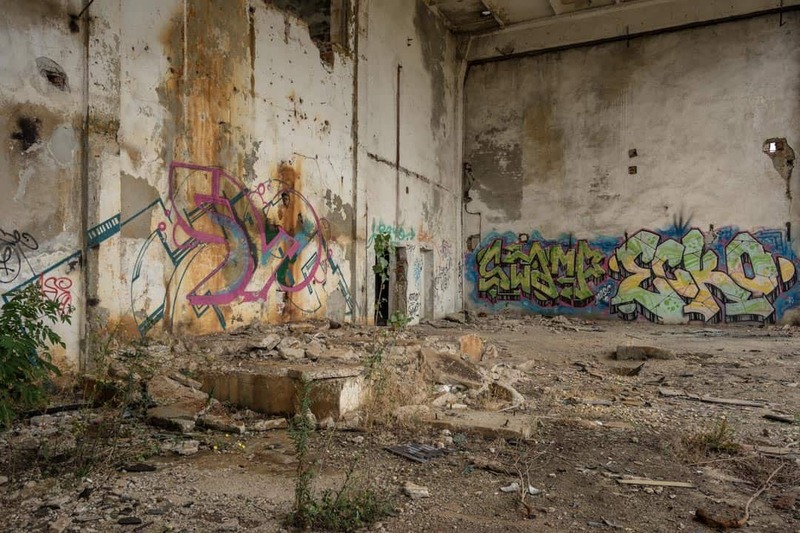 Luckily the ITB had formed a great connection with the owners and it allowed us unrivalled access into places that were in plain view but off-limits to the casual urban explorer. 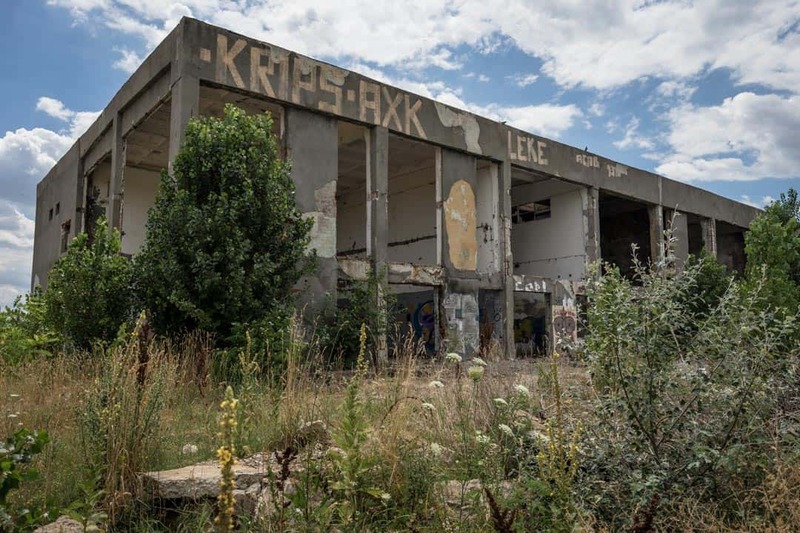 From old art galleries and museums to crumbled schools and ancient houses on the verge of destruction, Stefan took us to a whole range of epic locations. 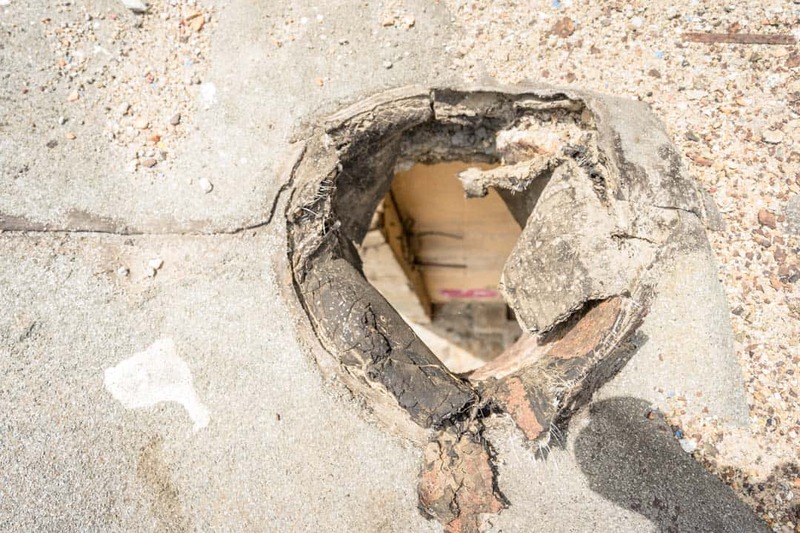 He explained how for many people the unsafe conditions were too expensive to repair, so the owners would simply wait for them to collapse in order to claim the insurance money. It was more dangerous, and took time, but it was the only option for many locals. An old attic above a closed museum. 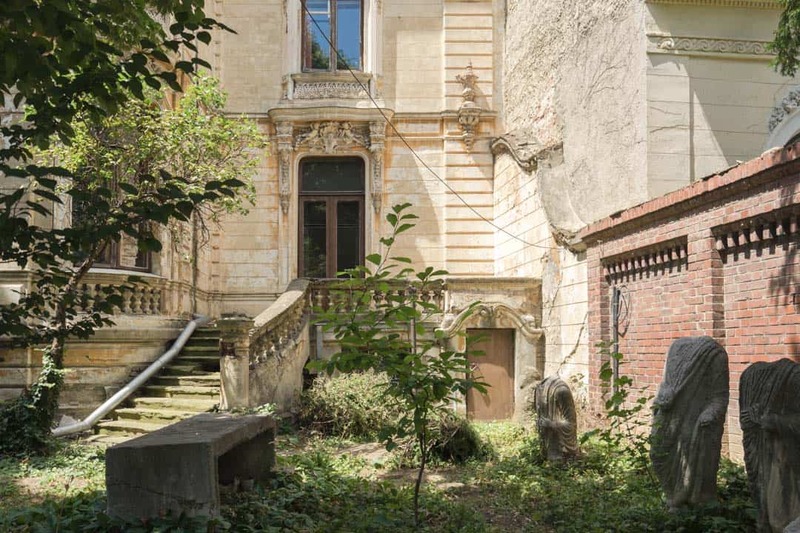 The front yard of an old house. Once we had completed our tour of downtown we jumped on the Metro and made our way towards the outskirts of town. 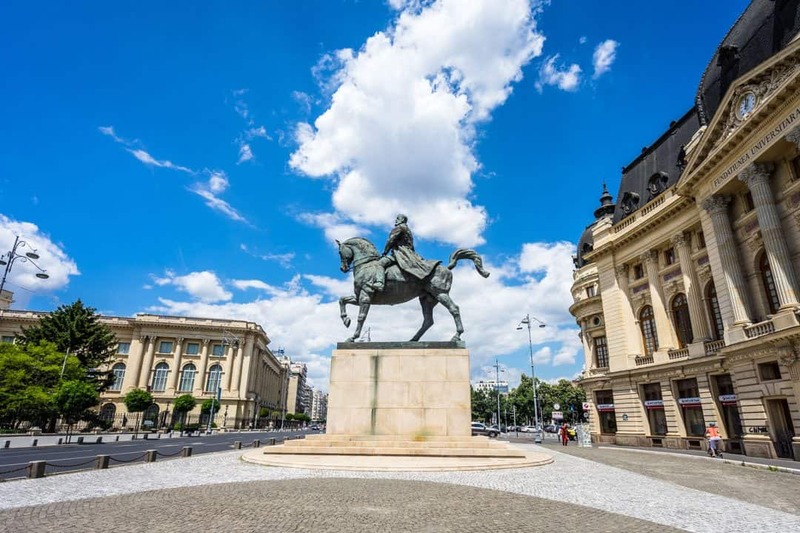 Stefan filled us in on the history of Bucharest as we went, and soon enough we were at our destination. We definitely didn’t expect to be where we ended up. A huge shopping mall stood in the middle of a field, surrounded by overgrown shrubs. We walked alongside the edge of it and started to notice concrete factories rising up behind the trees. Stefan led us through a gap in the fence and we started to wander between the decaying walls of an entire industrial complex. Graffiti covered the walls, and soon enough we stepped inside our first building. Concrete had fallen from the walls and ceilings, and walking up the sketchy stairs required quite a bit of concentration. Holes in the floor made it all the more treacherous. “This place is very different at night,” Stefan called out while touching the walls. “Many artists and young people come here to party and practice their graffiti.” The entire place was a living art gallery, and it was incredible. We bounced from one building to another, with Stefan filling us in on the history of the complex. 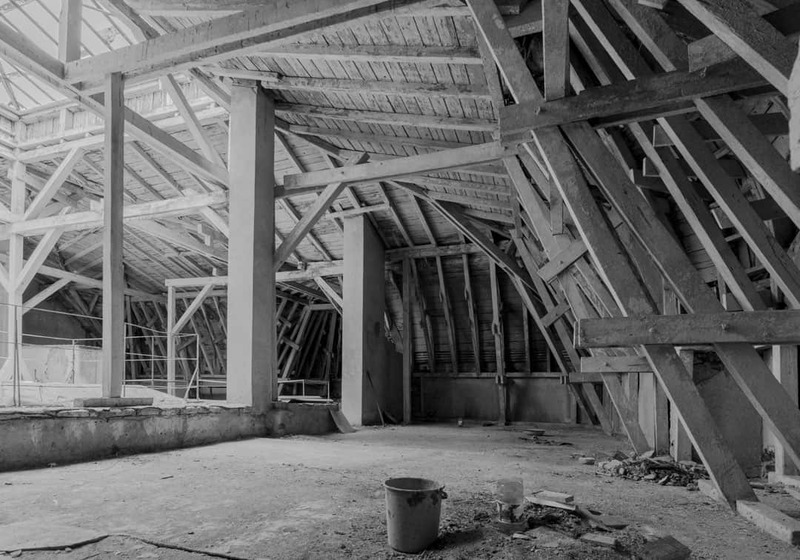 During World War 2 some of the buildings were used as gun powder factories, while others were simple storage units. As time went on the businesses closed down and the structures were left in disrepair. After a few hours of exploring this urban landscape it was time to return to the city. We jumped back on the Metro system and bid farewell to Stefan. The Beautiful Decay Tour had left us in curious excitement from exploring what felt like forbidden territory. As far as city tours go, it’s hard to find anything as unique or as fascinating as this one. Once back in town we returned to the hostel, and in true Book-A-Rest fashion, Andrei took a group of us out for dinner and drinks at one of his favourite restaurants in town. Finishing with a bang, we decided that we really liked Bucharest. For a city that some people believe doesn’t have much to offer, we found the complete opposite. Sometimes all it takes is getting a bit off the beaten path and having an adventurous spirit to make the most out of a new destination. Our Beautiful Decay Tour was provided by Interesting Times Bureau, and our accommodation was covered by Book-A-Rest Hostel. As usual all words, opinions and broken buildings explored are our own. Sounds like an awesome tour! I like things like this and would definitely have to bring my camera along to get some good shots. Have you guys ever gone with Context Travel for a walking tour? They do some pretty awesome historical/ architectural stuff, and they’re really keen on working with the blogging community for outreach purposes. Worth pursuing, if you haven’t worked with them already! Definitely was a great tour. Very interesting. We haven’t gone with Context Travel. We will check them out. Thanks for that. Happy travels. 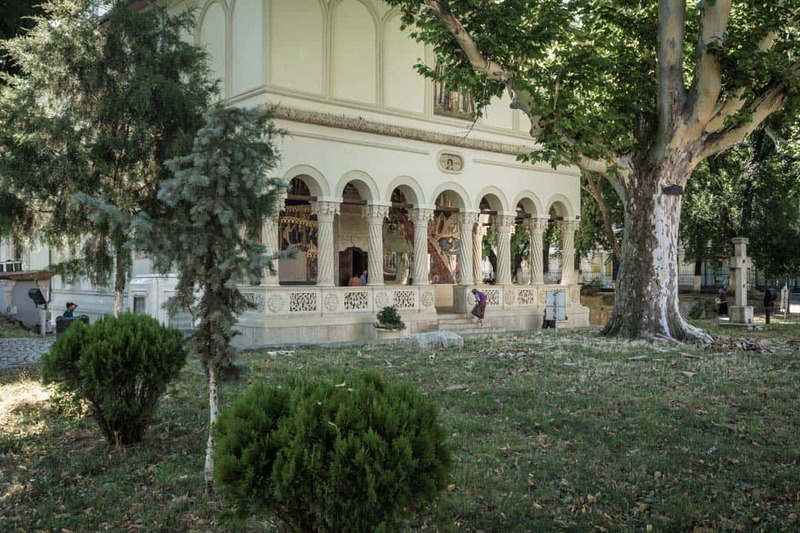 What a great post – I’ve never been to Bucharest but very intrigued. 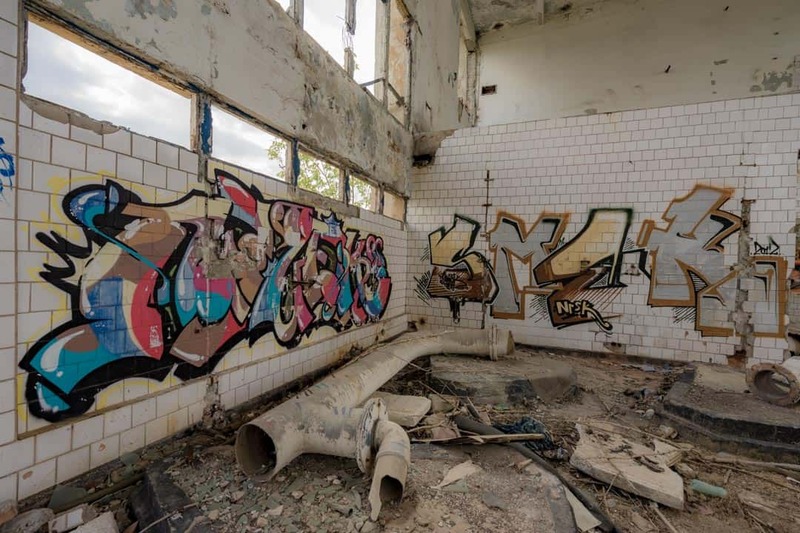 The pictures from the tour are incredible too love the graffitied bathroom. Thank you. We loved this tour. It definitely made our time in Bucharest amazing. It was interesting learning about the history and the city / neighbourhoods. Check it out when you go there. Take care.